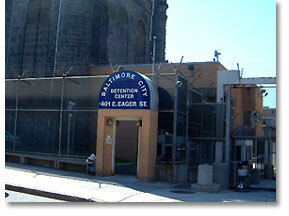 April 25, 2013 -Segment 1 We continue our conversation about the federal indictments naming 25 people including corrections officers at Baltimore City Detention Center and members of the Black Guerilla Family with racketeering, drug and money laundering charges. We’ll speak about the news, and dig a little deeper, asking how issues of race, gender, class, prison culture, and mass incarceration play into this story. Our guests include Maryland State Delegate Jill Carter; Maryland State Senator Lisa Gladden; Vikki Law, activist and author of Resistance Behind Bars: The Struggles of Incarcerated Women; Hassan Giordano, columnist for the Baltimore Independent Examiner and publisher of DMVDaily.com, Jacqueline Robarge, Director and Founder of Power Inside, and Sue Esty, Director of Legislative and Political Affairs AFSCME Council 3.